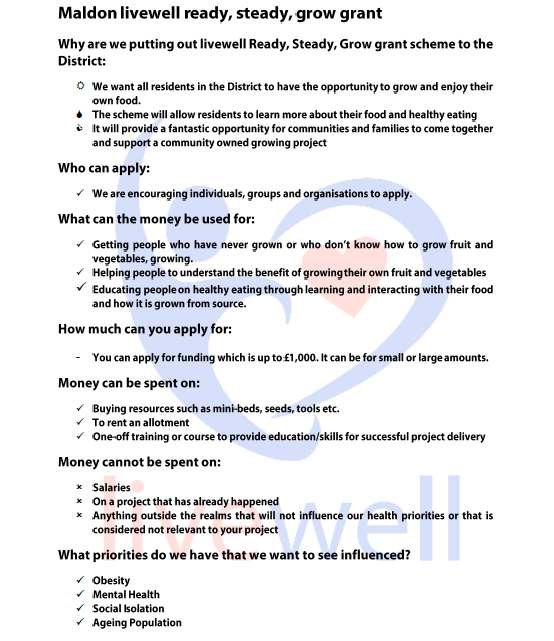 Maldon District Council wants to give all residents in the district the opportunity to grow their own food. 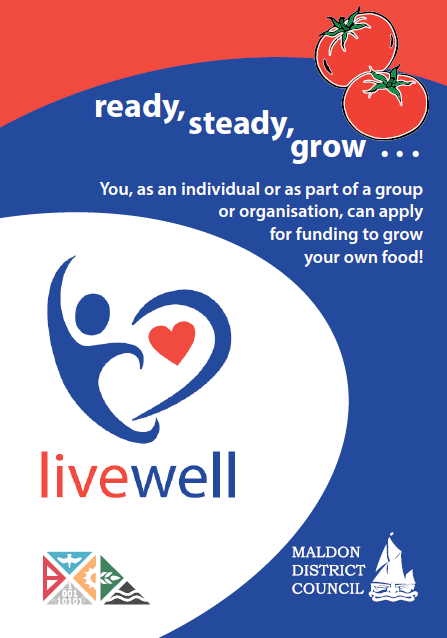 Individuals, groups and organisations can apply for up to £1000. Read the posters below and then click here for the online form.